A new study has found that politically controversial scientific topics on Wikipedia—such as global warming and evolution—are being subjected to "vandalism and other shenanigans" that can render them unreliable resources, an unfortunate circumstance for the world's most popular online encyclopedia. Published in the journal PLOS ONE, the authors state that "the high rate of change observed in these pages makes it difficult for experts to monitor accuracy and contribute time-consuming corrections, to the possible detriment of scientific accuracy." 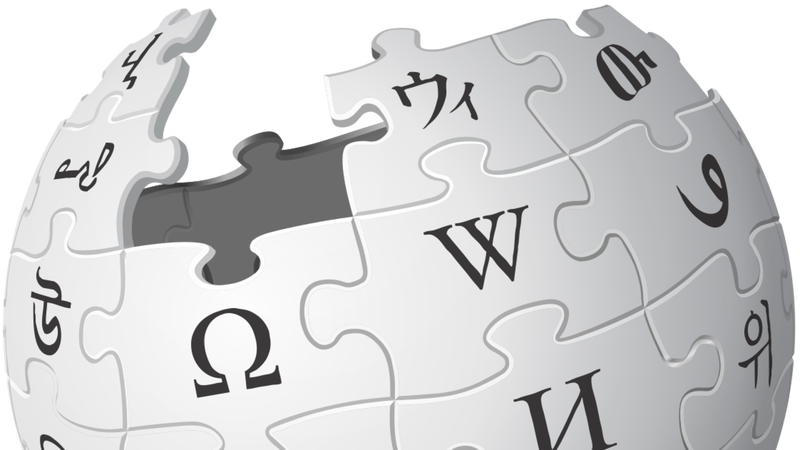 Co-authors Dr. Gene E. Likens, President Emeritus of the Cary Institute of Ecosystem Studies in New York, and Dr. Adam M. Wilson, a geographer at the University of Buffalo, analyzed nearly 10 years of Wikipedia's evolution in reaching their conclusions. They reviewed the edit histories of three politically sensitive scientific topics (acid rain, evolution, and global warming) and four non-controversial scientific topics (the standard model in physics, heliocentrism, general relativity, and continental drift). They found that the scientific topics more prone to political scrutiny were edited more heavily and viewed more often. None of seven the topics are at all scientifically controversial within the scientific community: Global warning, often presented in the media as an inconclusive theory, is anything but, with 97% or more of scientists agreeing that recent climate change is very likely due to human activity. That's as much certainty or more as there is around the evidence linking smoking and lung cancer. "Wikipedia's global warming entry sees 2-3 edits a day, with more than 100 words altered, while the standard model in physics has around 10 words changed every few weeks, " Wilson said in a statement. Study co-author Likens referred to this phenomenon as "subject edit wars," saying that even as more people look to Wikipedia for answers to scientific topics, "one can obtain—within seconds—diametrically different information on the same topic." “Wikipedia’s acid rain entry receives near-daily edits, some of which result in egregious errors and a distortion of consensus science," he said. Wikipedia is the seventh most visited site in the world, and it relies on crowd-sourced, reliable information as part of its model. Wikipedia's entry for Wikipedia calls the site a "free-access, free-content Internet encyclopedia" that "… is often cited for factual inaccuracies and misrepresentations." As a consequence of the open structure, Wikipedia "makes no guarantee of validity" of its content, since no one is ultimately responsible for any claims appearing in it. Likens and Wilson note that as Wikipedia evolves, it has shown progress in basing scientific content on "source material from established scientific journals." They suggest that Wikipedia identify entries known to have ongoing edit wars and they recommend quantifying individual editors' reputations. "In the meantime, users are urged to cast a critical eye on Wikipedia source material, which is found at the bottom of each entry," they state. Wikipedia's global warming page was updated three times on Aug. 16, twice on Aug. 15, and three times on Aug. 14. Many of the edits appear to be minor in impact, in the view of grammatical or stylistic corrections. For instance, on Aug. 14, the sentence "nine of the 10 warmest years in the instrumental record occurred since 2000, with 2014 being the warmest year on record" was changed to "fourteen of the fifteen hottest years have been in the 21st century, with 2014 being the warmest year since 1880." In referencing the change the contributor said, "9 of warmest 10 is accurate, but 14 of 15 shows extent better." As William M. Connolley points out at ScienceBlogs, the PLOS ONE study does appear to have some shortcomings; he refers to the content of the paper as "laughably thin." He states that one could check an entire month's worth of the global warming page's edits—which consist of minor changes and "bot fixes"—in "less than five minutes." A brief skim of the global warming page, which includes 241 citations, did not yield any blaring inaccuracies. It states that no scientific body of national or international standing disagrees with the view that "global surface temperatures have increased in recent decades and that the trend is caused mainly by human-induced emissions of greenhouse gases" and that "anticipated effects include warming global temperature, rising sea levels, changing precipitation, and expansion of deserts in the subtropics." Those are just the facts.